How important is the communication between staff and patients in a facility? A recent patient satisfaction poll taken by Medicare.gov stated that all of the top 4 factors, and 5 of the top 8 factors dealt with communication1! These included communication: with nurses, doctors, learning about their medications, responsiveness of staff, and discharge instructions, in that order. How patient interaction is managed can make or break a clinic. 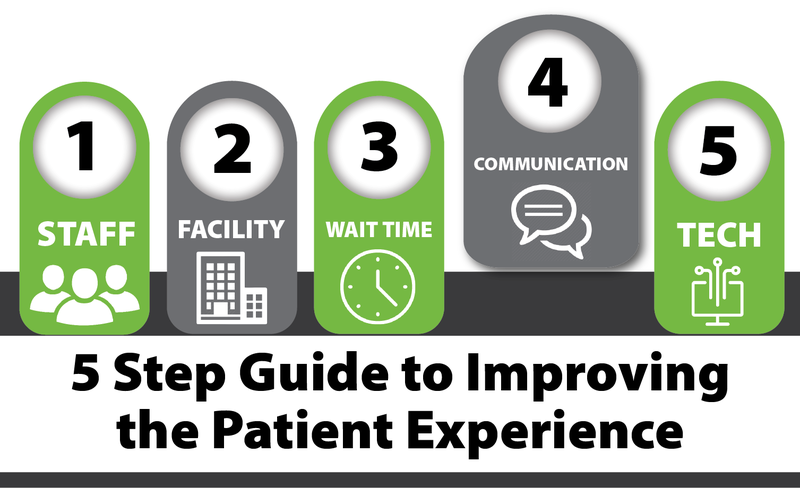 Setting expectations for the patient visit from the first contact with your office has been shown to help decrease patient anxiety and improve patient satisfaction1. This should be followed through during the evaluation. The clinician should explain to the patient what the evaluation entails and how the first visit will be conducted. This step is outlined in the Calgary Cambridge Guide to the Medical Interview2, but is a common factor overlooked by busy practitioners. Taking time to do this will help ensure the patient and clinician are on the same page out of the gate, which is a key to building a strong patient-clinician relationship. A second key factor to be cognizant of during the evaluation is to get frequent feedback from the patient and make frequent clarifying statements about the information that has been relayed. This ensures that the patient knows they are an active participant in the evaluative process and they are being heard. At the end of the evaluation it is imperative to provide a detailed summary of your findings in common terms. This will help establish credibility as well as reduce fear related issues that may hamper the patient’s overall mindset regarding their diagnosis. After the problem list has been provided, the clinician should provide a clear prognosis with a detailed plan of care, including the number of visits per week and total number of weeks their treatment is expected to continue. This will help the patient understand their roadmap to overcoming their condition. Avoid asking the patient “how often they can come in?” or “what would they prefer as a plan of care?” This might seem like a polite route to take at the end of an evaluation, but this tactic will ultimately undermine the authority and credibility of the clinician as the expert of the patient’s condition. Remember, patients are paying the clinician to tell THEM what they need, not vice versa. Avoiding this trap will improve the relationship between the clinician and the patient in almost all cases. Finally, have a formal system of obtaining patient feedback. A survey conducted by Trident University looking at keys to patient satisfaction found that 50% of patients are not asked if they have any questions or concerns during an office visit1. This can be a huge miss to a practice. Just because a manager doesn’t hear about something, doesn’t mean there isn’t a problem present. A formalized process to gain feedback should be in place. Most facilities will improve the patient experience. Being mindful of these factors has been shown to improve patient compliance via improved patient satisfaction. If you don’t believe it, give it a try, and ask the patients for their feedback after you make the appropriate adjustments. They will likely appreciate it and probably return for their next appointment.